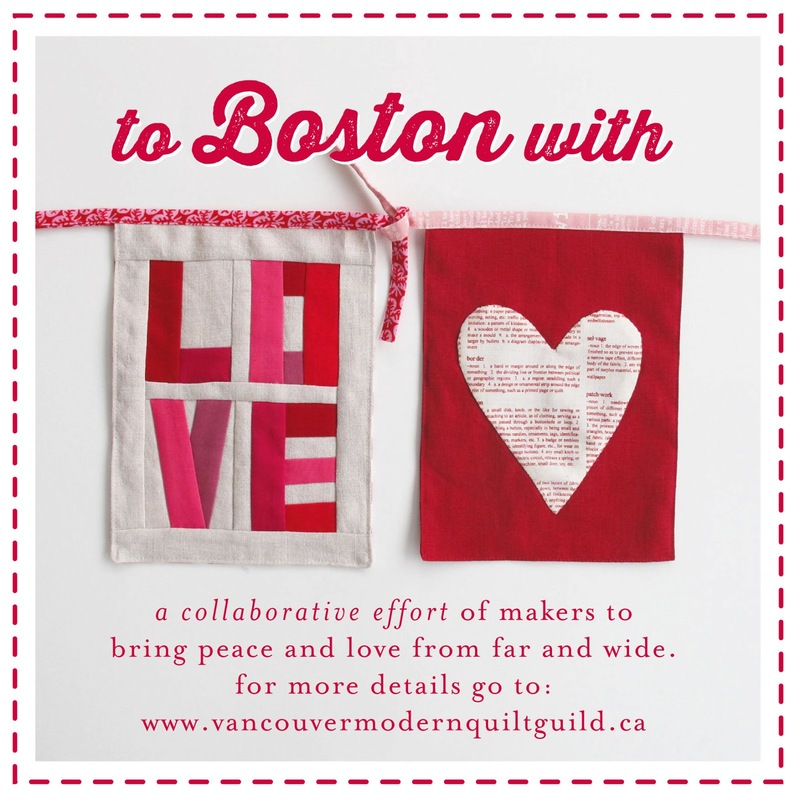 When I first discovered that the Vancouver Modern Quilt Guild was asking for prayer flags for Boston, I thought to myself...... in this order .... 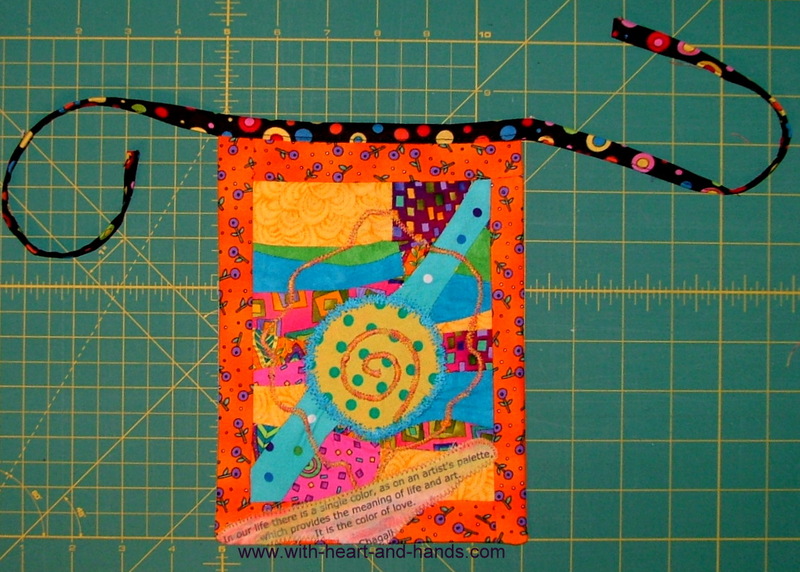 I'm not a 'modern' quilter...(I like to see myself as improvisational, or liberated, not 'modern' ;) ..... 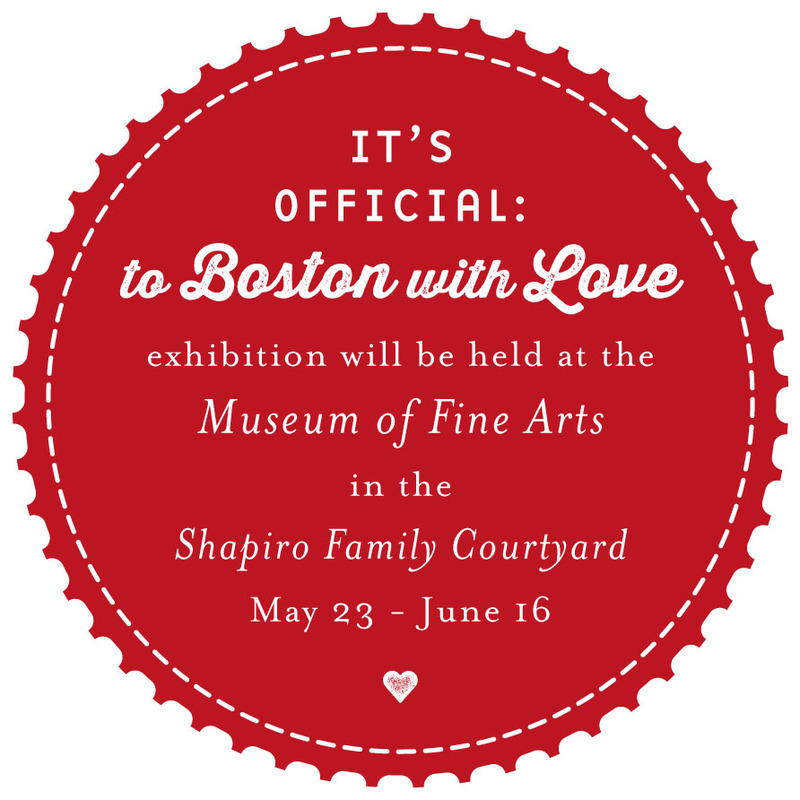 I've already made a Boston prayer flag (and shared it)......I don't have one single moment of extra time and... how can I keep doing what I do.... and survive my busy life....and then......as I always, always do..
.....ok, so why can't I make a prayer flag for Boston???? If there is one thing I have learned in the past 15 years, its that there is always time for whatever you make important ..that day...that hour.. that minute..in your life. And I do it and the more I do it, the more I have discovered that I continue to do it. And strangely enough ... .the saying is true...I have, indeed, gotten stronger and stronger and stronger. I had a lovely Mother's Day, yesterday. My three children and their significant others all came up and over to be with us, I received lovely gifts, fresh flowers, potted flowers and plants, and the chickens and cat all honored me with their 'presence'. And it was a warm, and sunny, and lovely day.... when it wasn't even supposed to be. 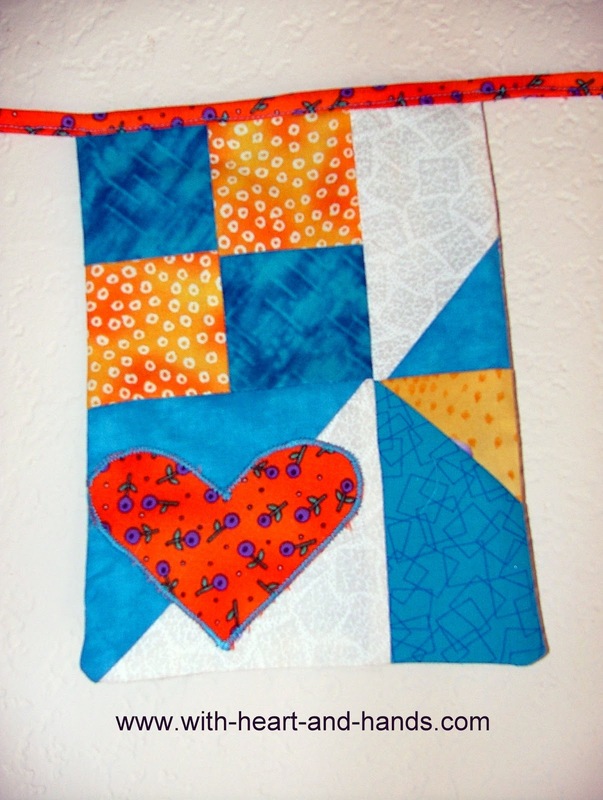 I remember the song from Annie...... singing in my head...'The sun will come out, tomorrow..." And that feeling stayed with me, all day, all night, and into my quilting and prayer flag creating, today. It was quite wonderful, really. But the more I thought about my own blessings, the more I also thought about the flip side of that coin.. the hardships we all face, we all feel like we are battling. But for every person who has it 'better' or 'easier' or at a higher standard of living than us.. there are always 9 more people who have it far more challenging. And, yes.. I have lived through devastating losses.. just as many of you have. I have faced them, battled them, survived them and seen the sun come out 'tomorrow'. And yes," time may heal all wounds", but love is the greatest healer of all. It can heal anger, and hatred, and jealousy, and even the desire for revenge. But the quilted flag, itself, shares all of that ragged and uncertainty of life made into one unified whole...inside and outside of time. 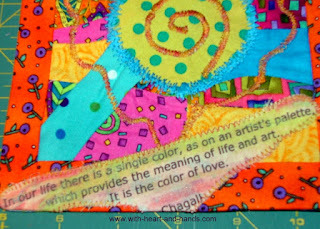 , as on an artists' palette, which provides the meaning of life and art. It is the color of love." Out of what may appear to be great and challenging darkness, come one thing and one thing only that is greater than all that we think we see and feel. 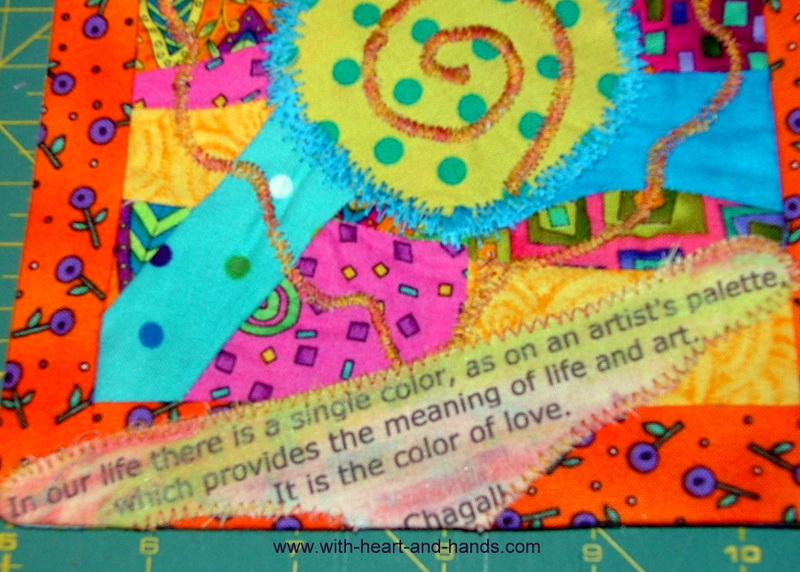 We are one and the color of that one is love. 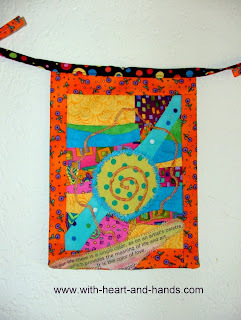 My little prayer flag is made up of cut up and put back together bits and pieces, all from my own re-purposed and recycled fabrics from free cycled groups. I wanted to create order and unity from chaos and destruction and desolation. I want to create love joined, love created and now, unifying, and love ever growing, and ever expanding outwards to all. And then...because I could....I made two more prayer flags for Boston..for each side. 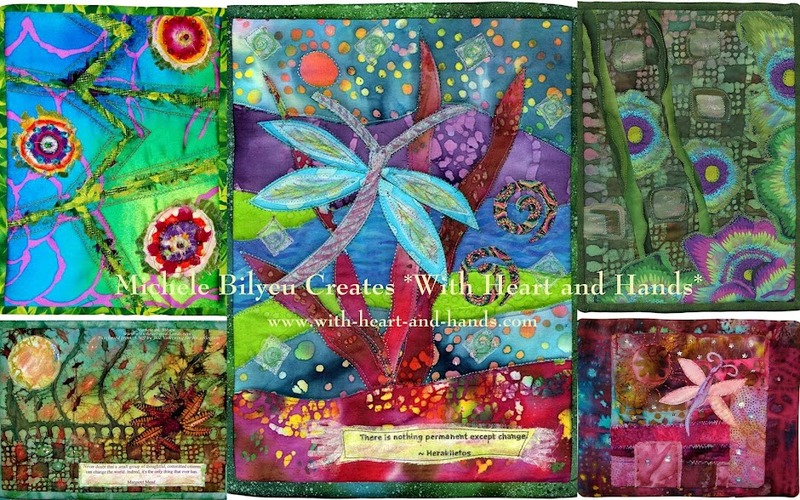 Now, there will be a trinity of prayer flags made with my heart and with my hands..heading for Boston. 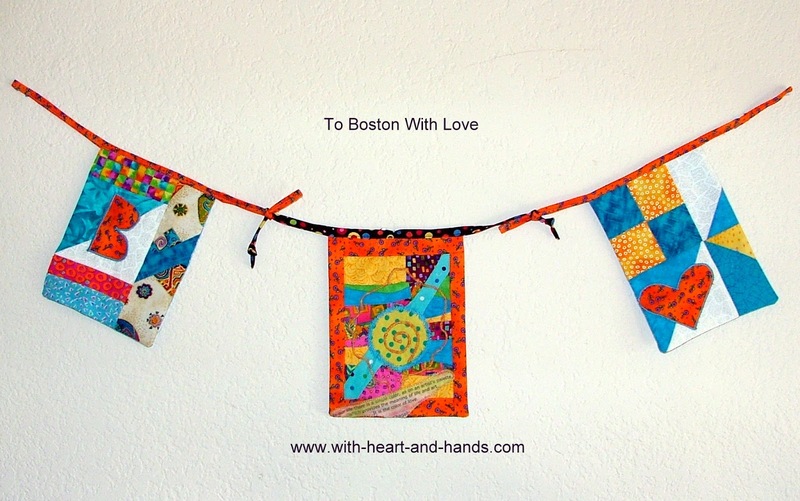 A flag with a little 'Heart' and another one with a 'B"...both made "For Boston With Love"
How awesome is that? And they will fly.....this year, over Memorial Day weekend ....and through mid-June ......and then, again...next year, in 2014 in remembrance, once again! Sharing so much love from so many places. The details of this Vancouver Modern Quilt Guild project is posted here. 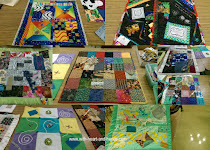 And if you do not belong to a Modern Quilt Guild and do not have a local address for one, I did find the posted mailing address for Amy Friend, who is collecting prayer flags for this fabulous display. Her posted already on the Internet address is: Amy Friend, PO Box 774 West Newbury MA 01985. 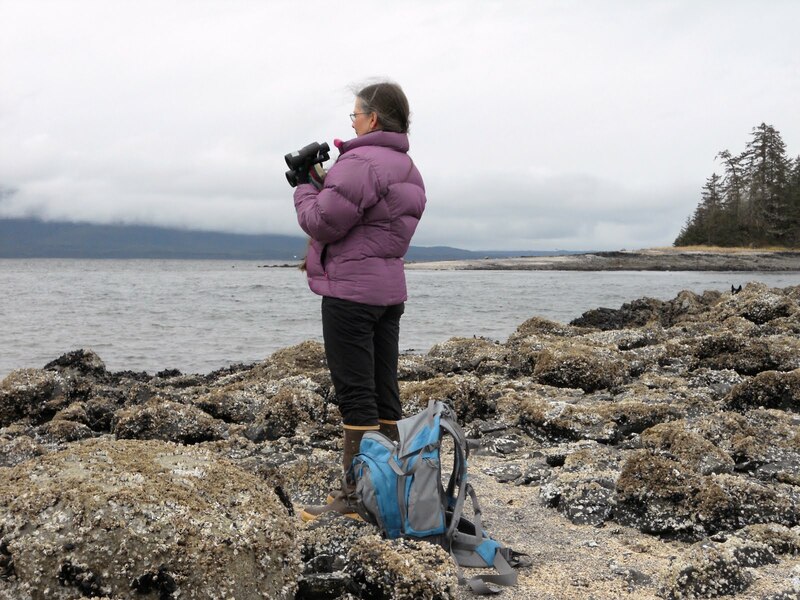 Amy's blog, by the way is: During Quiet Time, and just visiting her, at her site, was indeed very quiet, and soothing .... and her work is just lovely! Check out her own lovely projects! Please join in and send your own prayers, as well. 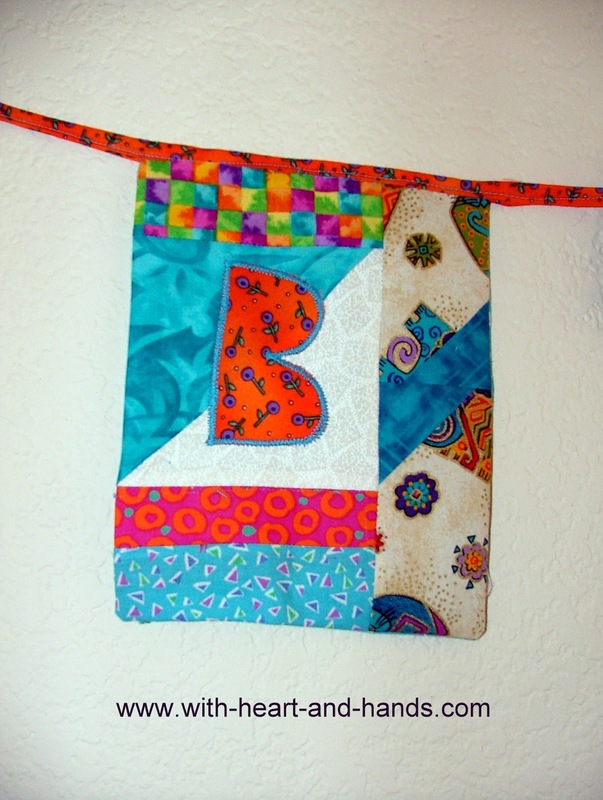 It doesn't have to be a prayer flag, it doesn't have to be a quilt, it doesn't have to be the hundreds of thousands of things that people all over the world have already sent to Boston, or to Newtown, or to other disaster areas. Send a good and loving thought, the color of love when sent from the heart is the most beautiful, amazing, and meaningful and meaning filled thing that there is..... for that is the power of good. 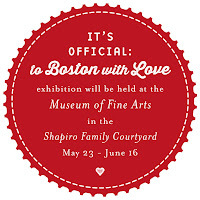 Love to Boston, love to all who were in Boston that fateful day, love to all of those who are stuck in the place and time of that day, still. May be all live in the eternal now of love-time fulfilled.....today, and every day. And don't forget, the wonderful The Prayer Flag Project which I am very proud to be a member of and which I also share my prayer flags contributions with, for posting there. A wonderful project and a very fine and interesting finish. You do such neat things. What a wonderful post and a terrific project. It is so easy to get caught in our own trials and tribulations. When we take a few moments to consider the lives of those affected by the Boston bombings, the factory collapse in Bangadesh or any one of thousands of other events around the world, it helps put our own challenges in perspective and to be appreciative of what we have. I think it also reminds us to look for joy in the smallest of things.